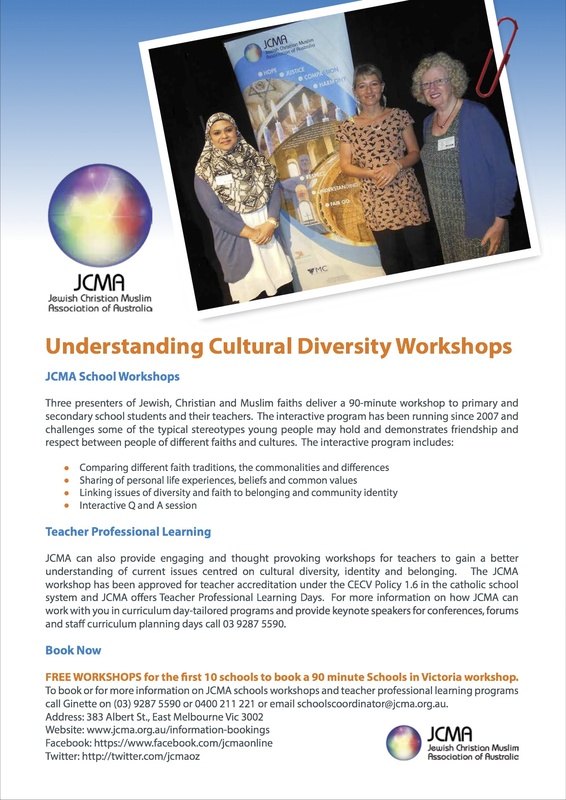 To book a workshop download a booking form by clicking here JCMA Schools Workshops Booking Form complete and email to schoolscoordinator@jcma.org.au. 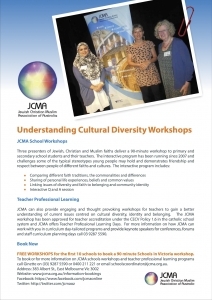 For more information contact Bryan on (03) 9287 5571 or email schoolscoordinator@jcma.org.au. About a week prior to the workshop going ahead at your school, the JCMA Schools Program Coordinator or other representative from the JCMA will contact you. All details for the workshop will be confirmed as well as ensuring that the venue is suitable and the students and staff are prepared for the workshop.Venue requirements include a video machine and screen visible to all so that students can watch a short video presentation. Students could be encouraged to use the following Education Resources to develop their understanding of some of the material that may be covered. 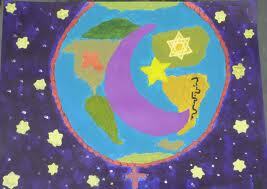 Here, students can find information relating to frequently asked questions about the Abrahamic faiths. For further information contact Bryan on (03) 9287 5571 or email schoolscoordinator@jcma.org.au.